Looking for an uber formal tie that pairs nicely with modern cut suits? Then you should put this shiny silver tie onto your short list. 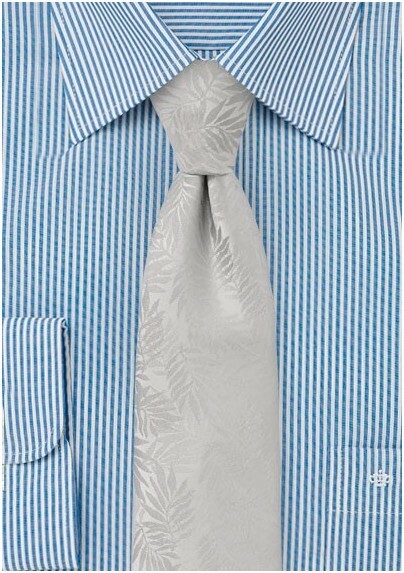 What makes this tie stand out is the monochromatic design featuring woven tropical leaves. 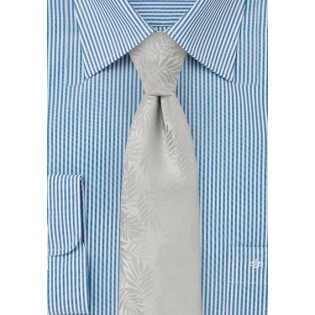 A great looking tie with fitted suits in back, charcoal, or gray, as well as classic tuxedo. This design is also available in burgundy, cream, and navy blue.